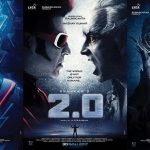 Enthiran: We have been receiving hot news on ‘Robot’, almost everyday. 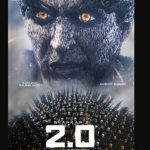 We all are aware that Shankar is making this film for a whooping 125 Crores, as good as any Hollywood film. 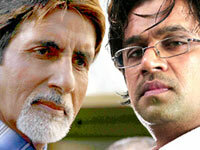 The latest hot news on the ‘Robot’ front is that director Shankar has roped in ‘Amitabh Bachchan for a role in this film. 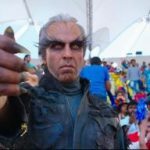 Yesterday director Shankar shot various angles of Rajinikanth, and different varieties of wigs and costumes were arranged from outside. We Can’t Reach The Hollywood Level. 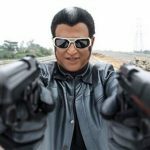 Enthiran is 5% Of List Of Big Budget Movies List In Hollywood. what will be the role of arjun ? Almost the film shooting is going to end..
At this stage Arjun is playing important role.. What is it ? Yeah, Ganesh is right…Almost 85% movie is over..It seems just to be a rumor..Danny is the villain for this movie if the reports are to be believed. What Magesh, you people never appreciate some good thing, always try comparing with hollywood…Who are they..The so called good hollywood movies technicians are mostly from India? Go and check it out? ?They names always moves out of focus? The people who use napkins after toilet and we Indians still follow them thinking that they are something different..They don’t know the basic cleanliness..Those people have money so they are wasting that in special effects without any logic…Appreciate Indians and their effort and start comparing Hollywood all the time for God’s sake….No problem if it is 5% or 0%…The movie is not made for them…It is for us…Those people do not know our taste and preferences, so we should not care about them,…. Nice to see Amitabh in this movie,what kind of role will he play???? kollywood and bollywood in this movie ? Dont create any rumours ..